Literally just hours ago (thank-you Ryonai for having twitter!) Suppurate System's website revealed not one, but TWO new accessory concepts, available on both their Japan and international webshops! 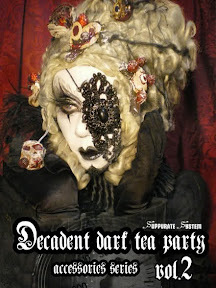 The first "new" concept is actually a continuation of their Decadent Dark Tea Party line, which was released about a month and a half ago now (still waiting for my order :( darn postal strike!). 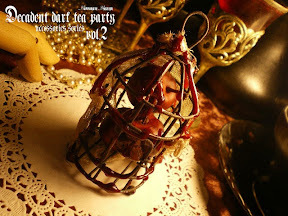 Titled simply "Decadent Dark Tea Party Vol. 2". 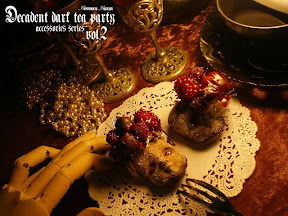 It follows the same crazed tea party theme as it's predecessor, but with a slightly darker and bloodier edge. This line has a lot of...cookies. 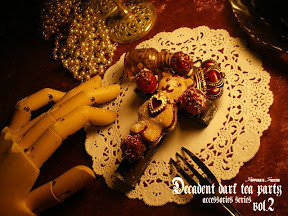 Bear cookies, skull cookies, doll head cookies, jam cookies, all covered with a coat of blood and dust. There are the same berry accents, and masks as the last line, but gone are the bugs and babies. We see a return to the use of tiny nails as an accent as well. It also includes eye patches, which Suppurate System are famous for, and were missing from the last line. The second line is s bit of a return to classic Suppurate System, called "Bloody Requiem". This line consists of three large cross (they look to be wooden) necklaces. 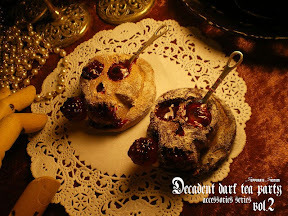 And are inspired by bloody royalty and vampires. 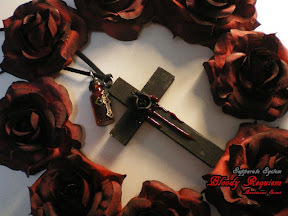 The first one is called "ErzebetBathory Rosary Necklace Type-A", and is inspired by Elizabeth Bathory's murder of over 600 virgins to bath in their blood in a bid to sustain her youth. I love the inclusion of the little bottle of blood! 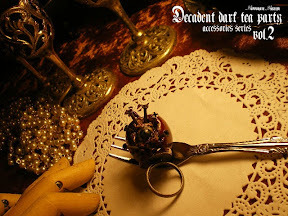 The second is also inspired by Elizabeth Bathory, "Type-B". 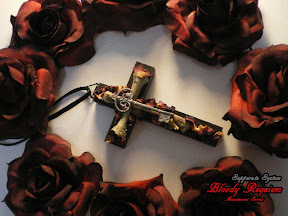 Instead of blood, we have bone, a key, and rose petals. 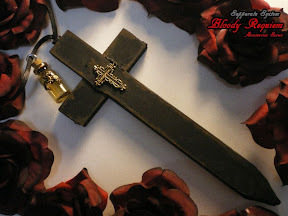 Lastly, we have "Vampire extermination rosary necklace", complete with a Tony bottle of holy water and a sharpened end staking vampires. I've never been one for vampires, but, oh my goodness, the first two are so beautiful and clever! Definitely added to my "dream item" list. 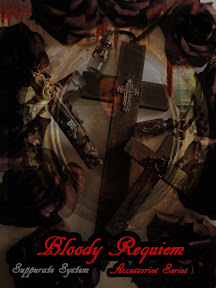 Click HERE for full details and to buy Bloody Requiem. So what do you think about these newest releases? What are your favorites?